20 to 30 minutes approx. Have an authentic experience at Iceland’s first microbrewery and bistro serving quality craft beers from our in-house brewery. Our beer tour is short and sweet taking approximately 20-30 minutes. Included in the tour is an introduction to our beers, the brewery and you have the options to book a three beer or a six beer tasting flight of our freshest produce from the brewery. The beer tour takes place every day and starts on the hour from 12:00 pm until 10:00 pm. 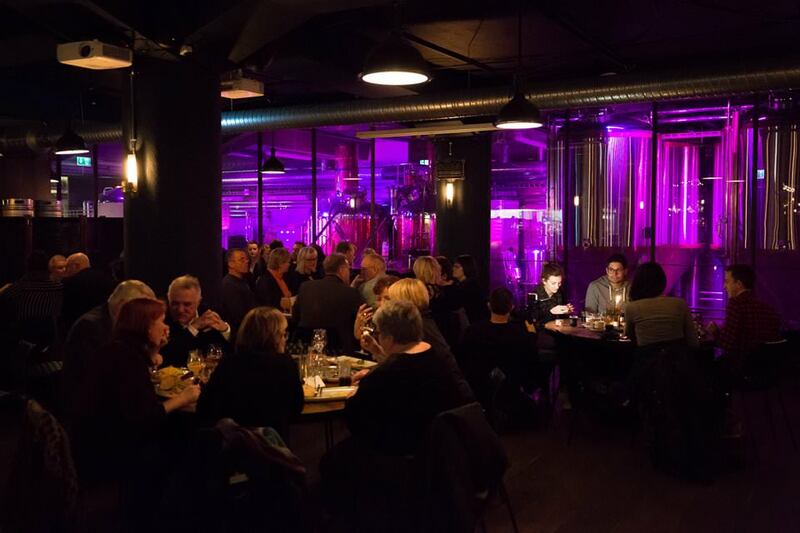 We are an independent brewery, restaurant and bar in Reykjavik which focuses on fresh ingredients and quality beer of various types pumped directly from the brewery. The kitchen is open from Thursday to Saturday from 11:30-22:30 and Sunday to Wednesday from 11:30-22:00, from 15-17 it is possible to order from bar menu. We not only server you fantastic food and artisan beer. We also offer you a few ways to enjoy the fruits from our brewery. We can have up to 100 guests in our Brewery room and that makes it perfect for groups and various occasions. The room can be private and has projectors and all modern technology for meetings and gatherings. We are an independent brewery, bistro and bar by the Reykjavik harbor. Our ambition lies in producing and offering large variety of food and drinks from quality ingredients. Our bar has 12 draft beer pumps that deliver fresh craft beer directly from the brewery. We have a large variety of fresh gourmet courses from Icelandic sea food and classic courses, hand picked by our head chef.